I've always been fascinated with Triptych paintings. You know when an image is broken into three canvases or panels? 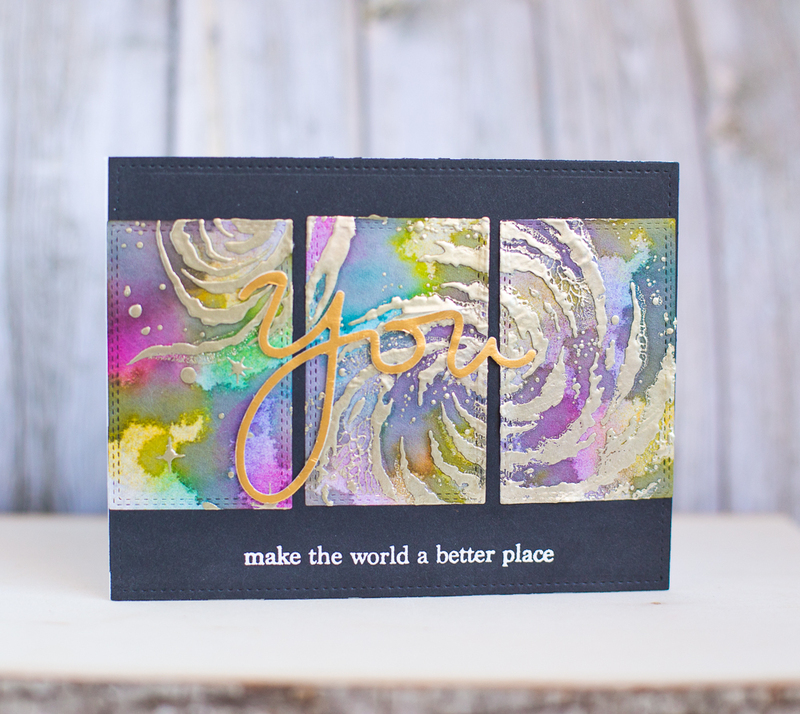 I love the rest your eye gets by the margin and the contrast between a continual image broken up by white space. I thought it would be fun to create the same idea on a card front. 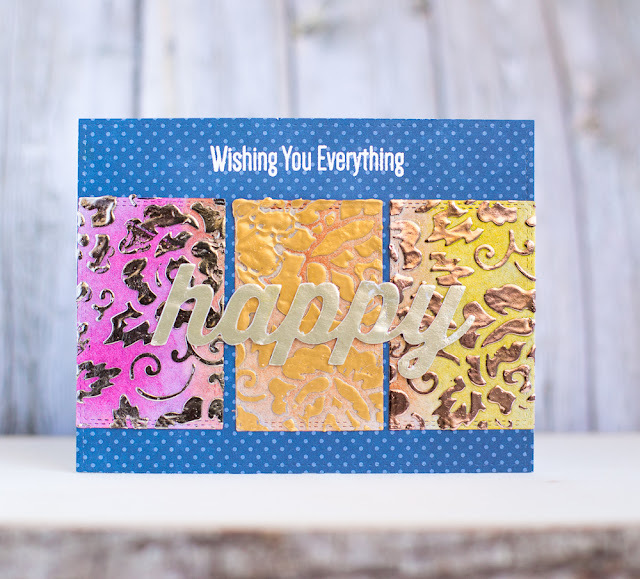 I used Therm O Web's Deco Foil Transfer Gel and The Crafter's Workshop stencils to create the backgrounds. 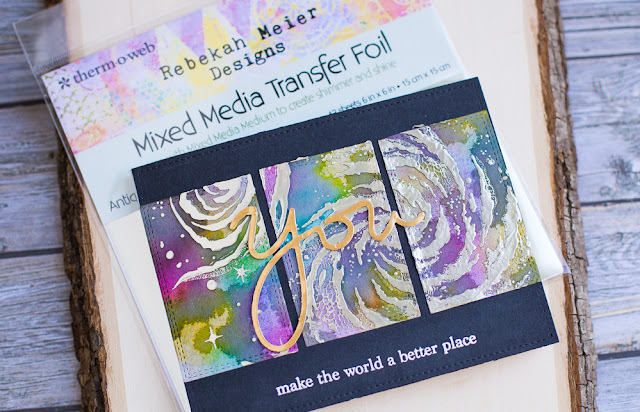 I also used Rebekah Meier's Mixed Media line for Therm O Web. I die cut the Rebekah Meier Art Paper into 3 rectangles with the Therm O Web Gina K. dies. After adding the Rebekah Meier foils to the sentiment and panels, I also colored the panels with Gina K Designs for Therm O Web Dye Inks.